REMY MARTIN: One Life, Live Them. I was happy that one of my friends from the KTG, SPANKY ENRIQUEZ was named as one of the brand advocates of an amazing drink, REMY MARTIN. For this, REMY MARTIN had a little launch party done in no less than the JAGUAR showroom in BGC. Remy Martin did well in choosing their tag line. ONE LIFE/ LIVE THEM. Even if it is grammatically incorrect, this just shows that we only have once chance and let's make good use of it. Remy Martin wants us to enjoy life to the fullest. A lot of quick bites were served to the guests of this launch. One of them was this bacon covered wrapped dish. Anything with bacon is love. As I have never tried Remy Martin, I figured to have it first in a cocktail drink. I liked the cucumber mixed with the REMY MARTIN as it was both light and refreshing. I tasted the drink and it insinuates summer. Table side service was also there as a fruit juice mix to add to the Cognac. 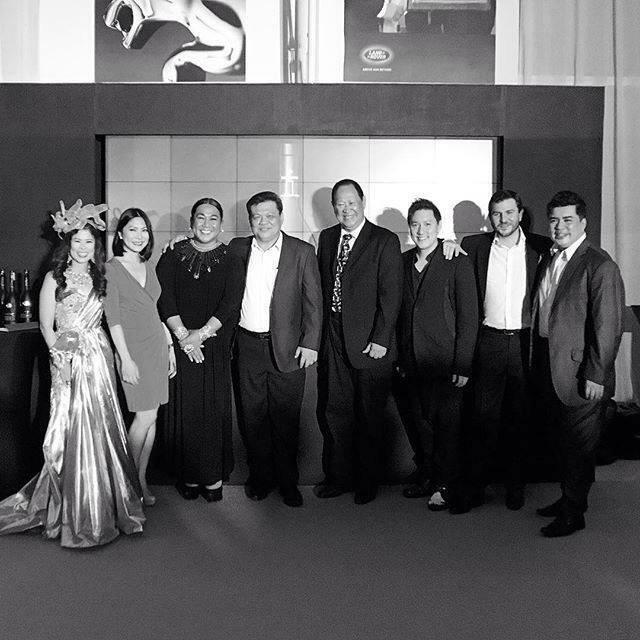 As the party went into the night, REMY MARTIN has introduced its brand advocates for Manila. These are influencers that would best promote REMY MARTIN. REMY MARTIN VSOP is a drink liquor to mix up with different chasers and fruit drinks. This would definitely work well with ginger ale. Definitely a must try, this is just right for that night out. Remember, drink responsibly and don't drive.